There were not enough songs recorded on 02 Nov 1997 to fill an album, so the original 1997 musicians were contacted again and an additional recording session took place on 19 Mar 2005, just prior to Springsteen embarking on his Devils & Dust Solo Acoustic Tour. Nine songs were recorded during the second session: ERIE CANAL,JOHN HENRY, O MARY DON'T YOU WEEP, PAY ME MY MONEY DOWN, OLD DAN TUCKER, FROGGIE WENT A COURTIN', SHENANDOAH, MRS. MCGRATH, and MICHAEL ROW YOUR BOAT ASHORE. Eight of the songs recorded during this second session ended up on the album. John Henry is an African American folk hero. He is said to have worked as a "steel-driving man"—a man tasked with hammering a steel drill into rock to make holes for explosives to blast the rock in constructing a railroad tunnel. According to legend, John Henry's prowess as a steel-driver was measured in a race against a steam-powered rock drilling machine, a race that he won only to die in victory with hammer in hand as his heart gave out from stress. The story of John Henry is told in a classic folk song, which exists in many versions, and has been the subject of numerous stories, plays, books, and novels. The story of John Henry is traditionally told through two types of songs: ballads, commonly called "The Ballad of John Henry", and "hammer songs" (a type of work song), each with wide-ranging and varying lyrics. Some songs, and some early folk historian research, conflate the songs about John Henry with those of John Hardy, a West Virginian outlaw. Ballads about John Henry's life typically contain four major components: a premonition by John Henry as a child that steel-driving would lead to his death, the lead-up to and the results of the legendary race against the steam hammer, Henry's death and burial, and the reaction of his wife. The well-known narrative ballad of "John Henry" is usually sung in an upbeat tempo. Hammer songs associated with the "John Henry" ballad, however, are not. Sung more slowly and deliberately, often with a pulsating beat suggestive of swinging the hammer, these songs usually contain the lines "This old hammer killed John Henry / but it won't kill me. 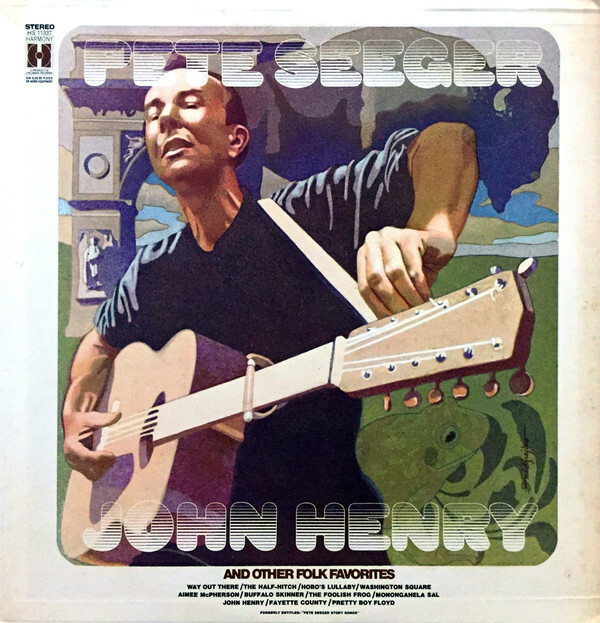 "In the year 2013 I sent a letter to folksinger Pete Seeger describing my research on John Henry. The letter included the key "John Henry said to the captain" verses from rebel versions one through eight of the ballad. He responded with a postcard (see below). His response was brief, but one point he did make was that I could spend 10 years traveling* and collecting more versions of "John Henry" and "still never know what the original song was." Of course, he is right. About half of a century passed between the time the ballad was originally created and the first time that its verses were written down by a collector or researcher for posterity. That is plenty of time for many significant changes to occur to the song as it was passed from one musician to another and as each new performer added his own unique touches to the song. What was the original tune? What were the original verses? And what meaning or meanings were attached to the song by its composer, its earliest performers, and their audiences? We are only left to wonder. Below is Pete Seeger's message to me. " I'm gonna knock that steel on down"